There are some days amidst the revision, exams and assessments that we cannot wait another minute for summer to come. We crave the lay ins, the lazy days, the sunshine and lemonade! When it finally comes, it is oh so sweet. But only for maybe a week or two. As summer can be so long and dull when you realize you don’t actually have anything to do. Of course, all we ever want sometimes is to be able to sit down and know we have nothing to do, especially after exam periods. However, when it is for three longs months or more, it can begin to feel unproductive and repetitive. So, I have put together some ideas of things you can do this summer to remain productive or busy or simply just having fun! – Holiday: if you have saved up money or booked in advance then a holiday is 100% the way to go this summer. I recently went to Portugal for a week almost immediately after my exams. It was not only a great way to finally relax and enjoy some sunshine, but it felt like a reward for all my work this year. Holidays are a perfect time to catch up with friends and explore new places and if I had more money I was always be going on more! 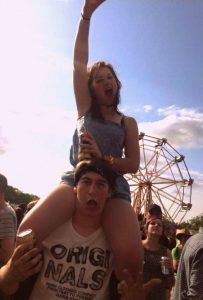 – Festivals: Summer is festival season and no summer period is complete without one. What better way to enjoy good, live music than in the sun with all your good pals and a lukewarm cider in your hand! I am only going to one festival this year called Truck Festival in Oxfordshire, as it’s a great way to catch up with all my old friends from school. This is from two years ago, please excuse how awful I look. – Part time Work: I am sure many of you are already involved in some sort of part time work. It is probably the most common use of everyone’s time during summer holidays as we start saving up for the next University year ahead of us. It may be boring and long, but at least we’re getting paid for it! 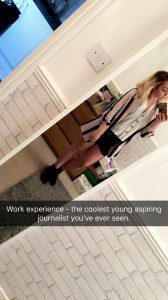 – Internships: Much like work experience, summer is a great time to get involved in some internships. These will also look good on your C. V’s and give you further skills and experiences. Internships are otherwise harder to get throughout the academic year (unlike work experience), as you often need to take a whole year to do them. So, summer internships are a great alternative if you don’t have the time to do one before, during or after University. The bonus is sometimes you can get paid! 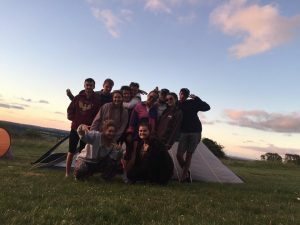 – Camping: If you can’t afford a festival, or don’t like them – camping in another great way to spend time in the sun with your friends for a few days. I went camping last year and it was really nice to spend time catching up with everyone and just escaping the real world for a while. You can search up camp sites near you and then you’re good to go! – Beach Weekends: If some are you are not so lucky as to live 2 seconds away from a beach, it may be nice to have a beach weekend. Just search up your nearest beach, get some carpools going with your friends and go enjoy a nice day by the seaside. I fortunately live 2 seconds away from a beach, so everyday is a beach weekend for myself. So, I can confidently state there is no better way to spend a sunny day! I hope these ideas gave you some inspiration for your summer holidays. Though it can sometimes seem long and boring, do try and enjoy it whilst it lasts as summer will come to an end and those exams will come back around the corner! Enjoy the sunshine and remember to wear sunscreen people!